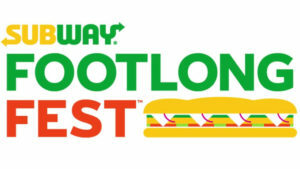 From January 30 to March 2 – you can get any footlong for just $6 during Subway’s Footlong Fest promotion! This deal includes all their subs, plus flatbreads and breakfast items as well. To take advantage of this deal and to locate your closest Subway store in the US, click here. Visit Cheap Feeds US and like us on Facebook for more of the latest fast food news, deals, vouchers and coupons!